Nest's new indoor camera comes with a 4K image sensor, facial recognition, smart audio alerts—and a $299 price tag. Nest Labs candidly admits it's only been iterating on the Dropcam platform it acquired in 2014, starting with its very first Nest Cam. The all-new $299 Nest Cam IQ is an entirely new home security camera, offering a host of best-in-class features. Does that make it worth three bills? 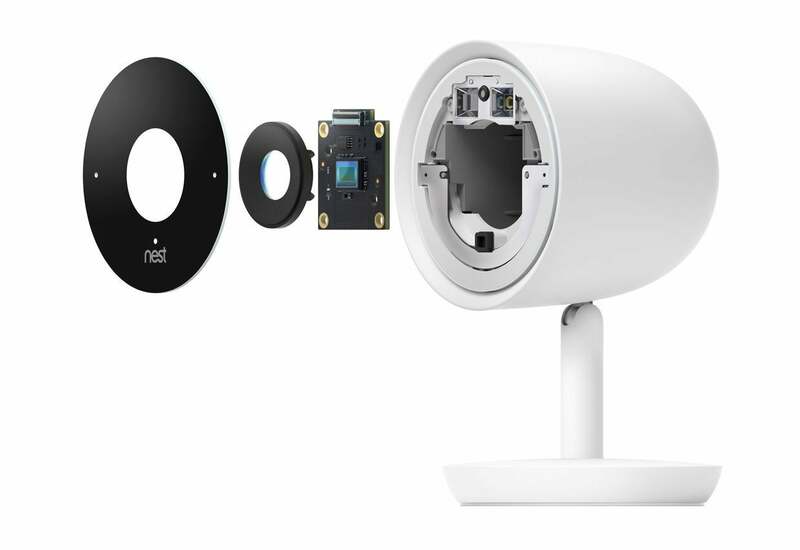 The white, cup-shaped Nest Cam IQ doesn’t resemble the original Nest Cam so much as the Nest Cam Outdoor. But the similarity is purely superficial. Inside, the camera takes a big step forward. For starters, there's a 4K, 8-megapixel image sensor that supports high dynamic range imaging (HDR). The objective isn't to bust your bandwidth cap by streaming Ultra HD video 24/7, but to beef up its 1080p output. A pair of 940nm infrared LEDs provide even—and nearly invisible—illumination in darkened rooms without the sinister red glow typical to most night vision. This story was updated on February 21, 2018: With a firmware update released today, the indoor Nest Cam IQ now has the Google Assistant built in. Once you've updated the camera's firmware, you can summon the Assistant by saying "Hey Google," followed by your request or command. If you own a Nest thermostat and would like to change the temperature, for instance, you can say "Hey Google, make it warmer" and the Assistant will instruct the thermostat accordingly. (You'll also need to download the latest Nest app (you'll find more information on the Nest support site). Nest also announced today a new, lower-priced tier for its Nest Aware subscription service that stores five days of video recordings in the cloud for $5 per month. The existing tiers store 10 days of video for $10 per month or 30 days for $30 per month. 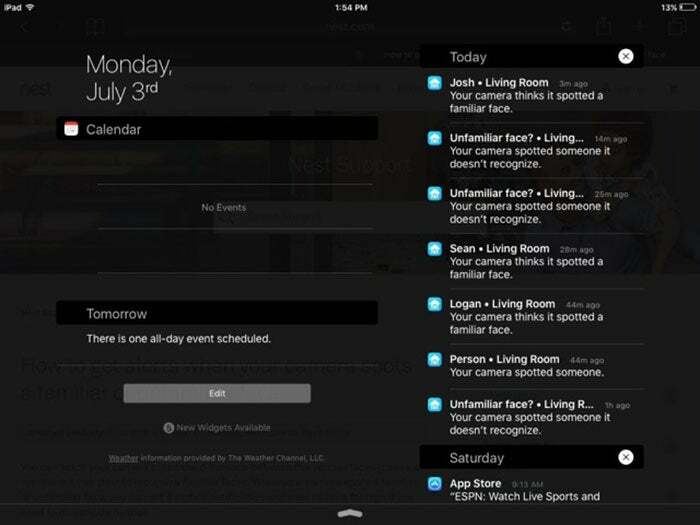 Finally, Nest Aware's Person alerts can now distinguish between a person and a thing in the camera's field of view. And with both the indoor and outdoor models of the Nest Cam IQ, Nest Aware will merge duplicate familiar faces of the same person within your photo collections. Nest Cam IQ comes with a host of new features, including facial recognition and smart audio alerts. This new Nest Cam also upgrades its audio capabilities, with a three-way microphone array that provides noise suppression and echo cancellation for clearer conversations with family members at home. And given the current climate around privacy and spying, it’s nice that the Nest folks thoughtfully included an LED ring on the front of the camera that glows blue to let you know when this feature is in use. That same ring glows green when someone is remotely viewing through the camera. 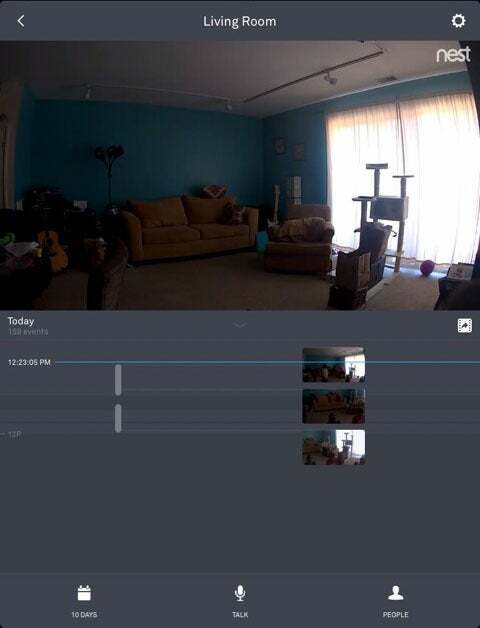 Sound and motion detection have been improved with a feature called “person alerts.” When a human—as opposed to Fido or Fluffy—is detected, your push notification and email alert will include a zoomed-in snapshot of the person. A six-core processor allows this feature’s algorithms to run locally, so you don’t need to subscribe to Nest’s subscription service, Nest Aware. You might still want to, though, to get some other cool features that are only available with Nest Aware. These include Familiar Face Alerts, which let you to teach the camera to distinguish between members of your household and strangers, and Intelligent Audio Alerts, which differentiate between speaking, barking, and other triggering sounds. You’ll also need a Nest Aware subscription to store videos in the cloud and to create clips and time lapses. 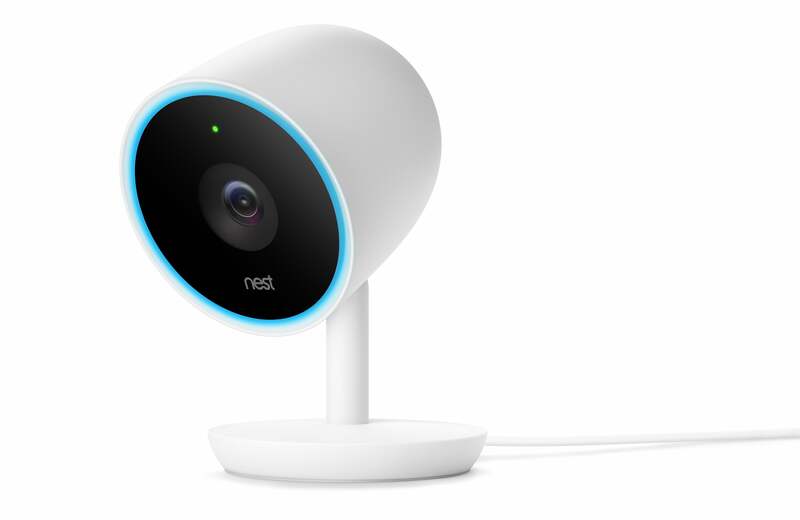 Nest IQ includes a 4K, 8-megapixel image sensor that improves 1080p video quality. A 10-day Nest Aware subscription runs $10 a month or $100 a year for one camera, and $5 a month for each additional camera. You can get a 30-day subscription for $30 a month or $300 a year for the first camera and $15 a month for each additional camera. Getting the Nest Cam IQ up and running is as simple as scanning the QR code on the bottom of the camera with the Nest app, following the onscreen prompts to connect to your wireless network, and finding a spot for it. Like the first Nest Cam, the camera must be set on a flat surface, and it has a wider, heavier base that keeps its larger body steady. The camera’s 130-degree field of view—a holdover from the Dropcam—was plenty to take in my modest-sized living room. You can rotate and tilt the camera head on its stem 180 degrees horizontally and 160 degrees vertically to get the best angle. You also have some flexibility in where you can place the camera thanks to its 10-foot power cord. Person alerts learn to recognize familiar faces as you identify them. Within seconds of opening the streaming feed, the Nest Cam IQ was showing off several of its new tricks. The first was Supersight, a zoom-and-tracking feature that automatically keys in on a person and follows their movements. My kids and a couple of their friends were in the room playing video games at the time, and the camera dutifully honed in on each one in turn, while keeping a minimized full-room view in the lower left corner of the screen. The charms of the 4K sensor were on full display here; that increased resolution allows the camera to digitally zoom up to 12x on each face with virtually no loss in image quality. 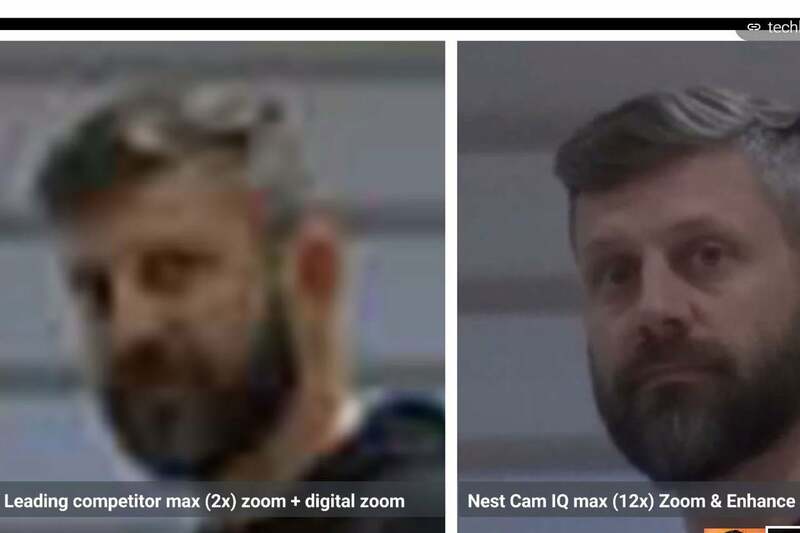 This photo from a Nest Labs presentation compares the Nest Cam IQ's 12x digital zoom to an unnamed competitor's 2x zoom plus digital zoom. Next the app walked me through a process of confirming that all these faces were actually people. This consisted of showing me a snapshot of each one with the option to tap a checkmark for “yes” or an X for “no.” When that was done, I was able to go into the Familiar Faces library and add a name to each face. As expected, I still got a lot of generic person alerts for family members in the first day or so of using the camera but as I continued to identify them the camera slowly learned to recognize them from actual strangers. Nest’s support document on the subject say this learning process can take a couple of weeks, so it pays to keep correcting any faces it misses. The Nest app includes a timeline of event-triggered videos that you can save to your Nest Aware account. Intelligent Audio Alerts were also surprisingly accurate. One of the bugaboos of audio detection is that you can easily get inundated with alerts triggered by your dog barking at the postman or another pet. But the IQ was able to tell me when it was my four-legged family member speaking rather than a two-legged one or a more ominous sound like glass breaking. That’s impressive. The camera’s hardware improvements live up to their promise. Both streaming and recorded video was sharp with deep, vibrant colors and without a trace of distortion. With night vision on, the image had strong contrast with detailed shadows and highlights. The audio was among the best I’ve heard from a home security camera, loud without booming, and noise-free. Currently you must push a button in the app to use two-way audio, but Nest promises an update later this summer that will allow you to speak and listen as if you were using a phone. The Nest app remains intuitive to navigate. Beneath the streaming window is a vertically scrolling timeline where event-triggered videos are logged. Tapping one will open it in the streaming window from where you can save it to your Nest account (video clips can be managed and edited only from the web client). Along the bottom are icons for quickly accessing the last 10 days of video history, activating the camera’s mic and speaker, and seeing the most recently unrecognized faces. Notifications, video quality, motion detection areas, and other features are all easily customizable from the settings menu. 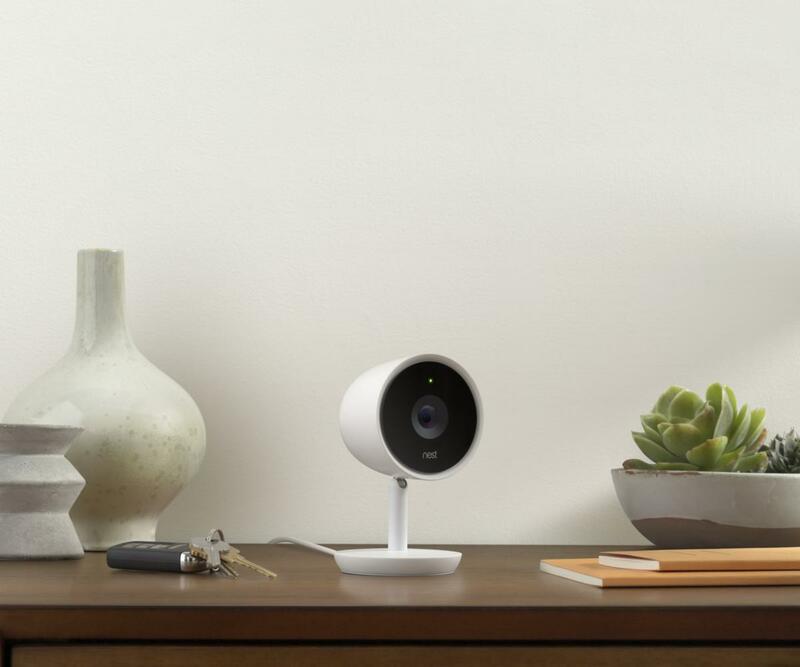 With its facial recognition, smart audio alerts, and stellar image quality, the Nest Cam IQ improves significantly on the already estimable Nest Cam. But are those features worthy of such a jump in price, plus the the cost of the Nest Aware subscription you need to use them? For most folks, simple motion and sound detection and video clear enough to tell a person from a lamp is really all they need to keep tabs on their kids and pets and rest easy when they’re away from home. And there are plenty of quality security cameras that cater to those modest needs for a fraction of the cost. Unless you have a big budget and a love for the latest tech, you might want to start your search there. The Nest Cam IQ's advanced features are truly impressive, but its hefty price tag might put it out of reach of many DIY-ers.